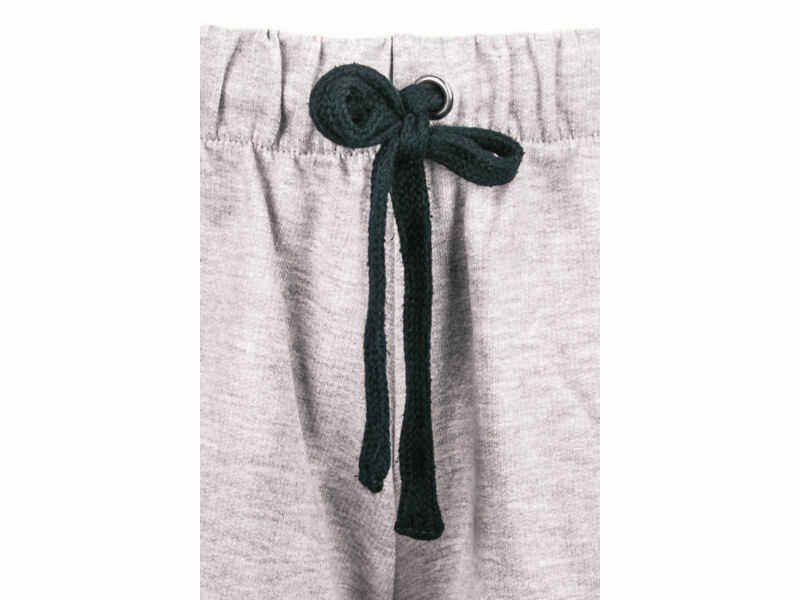 Light grey melange ladies sweat shorts with a navy cord lining. Elastic waistband with navy adjustable drawstring. White whaletail print on the front left side.